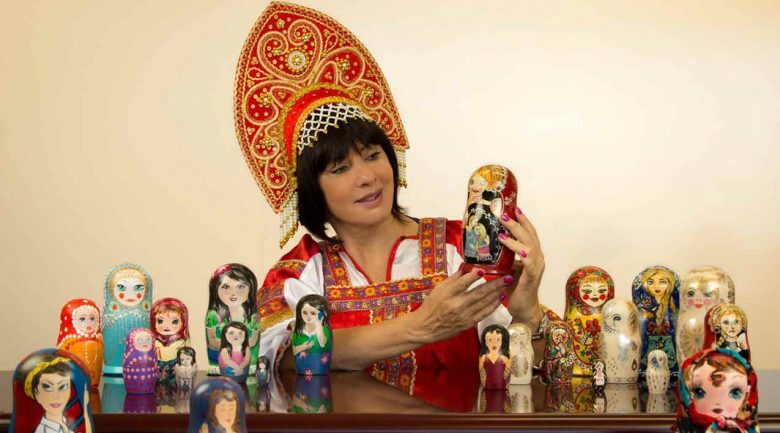 Australian Innovative Systems‘ CEO Elena Gosse is calling upon her Russian heritage and her former entertainment career to host a Russian Extravaganza in Brisbane this Thursday, April 11, in support of women and children experiencing domestic and family violence. The fundraising event will be held on 7pm-10pm at Xennox Diamonds, Level 2/141 Queen Street, Brisbane, and will feature popular Russian music, traditional Russian food and beverages, games and prizes including a $1000 diamond cluster pendant kindly donated by Xennox Diamonds. Entertainment includes Gosse as a singing CEO, operatic singer and vocal coach Lisa Lockland-Bell, and virtuoso-violinist Nikolay Dioumine. Raffles and door prizes totalling tens of thousands of dollars in value will be on offer including “Russian Roulette” red and black vodka tasting, a “guess the number of diamonds” competition, a prize wheel with luxury items and Celebrity Corner where guests can feel like royalty and be photographed wearing a tiara worth over $20,000. The extravaganza is part of Gosse’s fundraising efforts for Dancing CEOs, an annual event held each May which sees leading Brisbane CEOs dance and compete while raising funds for Women’s Legal Service Queensland which provides free legal and social work assistance to women experiencing domestic violence, complex family law and sexual assault matters in Queensland. 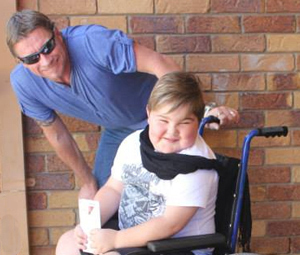 This year Gosse is targeting an ambitious fundraising tally of more than $70,000, after winning the Community Awareness Champion Award in 2016 by raising $23,000. She has a personal reason to be involved. “While many people know me as the successful CEO of one of Australia’s most innovative companies, they are unaware that I am also a survivor of domestic and family violence,” she says. 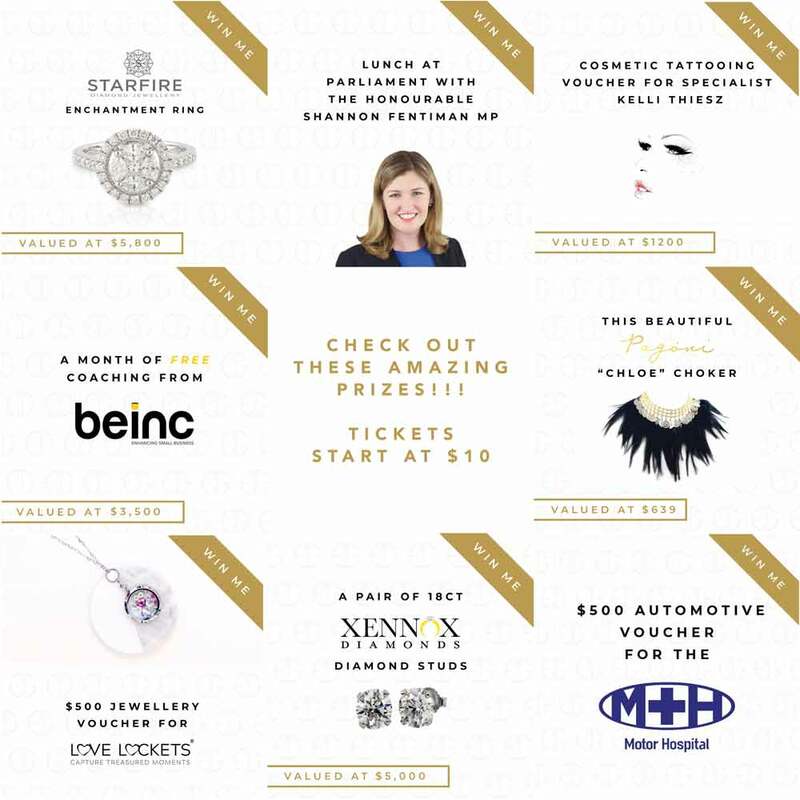 In all, $17,000 worth of prizes will be offered by Gosse as part of her fundraising activities in the lead up to Dancing CEOs on May 17, 2019. Click here to purchase tickets to the Russian Extravaganza or a range of luxury raffle prizes.